This year promises new treats. High dudgeon honors, so far, go to two perpetrators of this seasonal outrage: Starbucks and the University of Tennessee. Starbucks, as you probably already know, unveiled a coffee cup for the season (what season? it happened in early November, for goodness’ sake). The cup is drenched in red, but devoid of non-Starbucks images. 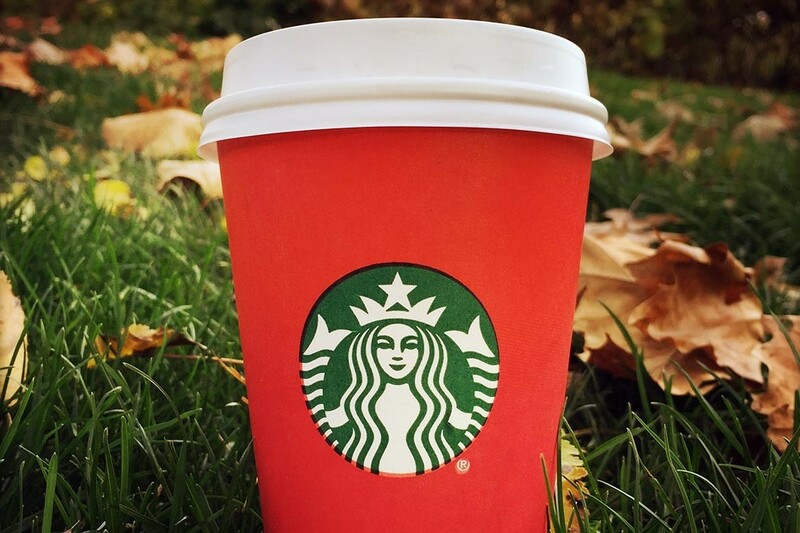 A self-described evangelist blogger, one Joshua Fuerstein, responded furiously that the only way to explain why Starbucks “removed Christmas” from its cups is that “they hate Jesus.” Whew! All that from a red cup. I’ve been wondering for weeks what it would mean if the color had been green, or maybe tan. It’s all a matter of “political correctness,” this evangelical fellow said, in a video that went viral to more than 11 million viewers. Wow. With a rhetorical swagger like Mr. Feurstein’s, it seems unsporting to point out that Starbucks has nothing on the real enemies of Christmas, like those seventeenth-century Puritans who got Parliament to ban Christmas celebrations outright in 1647. The would-be Christmas assassins evidently called down the wrath of an outraged citizenry by trying too hard not to offend. Just shows that seeking to be inoffensive can seem offensive to those who want it only one way: their way. As Christmas defenders see it, their antagonists are exclusionists, in thrall to a lunatic political correctness that makes pariahs of majorities. Could be. There are more than a few instances of goofy demands by expositors of political correctness, and the wording of UT’s party policy somewhat perversely excluded when it could have included. (That is, it could have called for celebrating the holidays of all community members rather than discouraged celebrating any.) But “politically correct” is not an adjective just for the left-leaning. Rightward listing philosophers no less demand political correctness; they just don’t label it as such. For them, it seems, “inclusiveness” is verboten. The problem of political correctness deserves its own posts; it’s on my list. In the meantime, holy hollyhocks, I’m betting Christmas will hold its own again this year.